Flight cancellations and delays would still characterise air travel this yuletide season as it happens every year. This is because the federal government has not been able to install Category 2 and Category 3 Instrument Landing System (ILS) at most of the airports in the country to enhance visibility when the Harmattan dust would cover the airspace during the period. But in addition to this yearly challenge, many travellers who would want to travel from their work station to their loved ones in other parts of the country may not be able to do so by air because there is inadequate aircraft to meet the demand of the passengers. 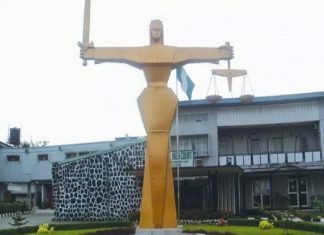 The consequence is outrageous air fares; such that even as of November, the fare for Lagos to Port Harcourt was as high as N50, 000, as explained by a passenger who bought ticket from one of the airlines to travel to the oil city last weekend. Industry observers said fares might rise to as high as N70, 000 for one-hour flight during the Yuletide season, despite the inevitable delays and possible flight cancellations caused by inclement weather. Every year, dust encrusted air from the Sahara Desert spread down to Nigeria around November to February and impairs flight operations. The Director General of the Nigerian Meteorological Agency (NIMET), Professor Sani Abubakar Mashi, explained to THISDAY, in an interview that one thing with harmattan is that it affects visibility. He said that the air carries dusts and reduces the visibility minima, especially during the day. “We have deployed sensors to monitor visibility. Pilots should continue to listen to the advice we are giving them. We use to give them weather report alert every one hour but now we are going to give them the report alert every 30 minutes. “Early morning and evening are the best time to fly because human activities are not at their peak during such period. During the afternoon human activities are high but in the morning and in the evening the dust in the atmosphere has settled,” he said. This means that at the height of the harmattan most afternoon flights would be cancelled. It was a similar thing that happened last year when flights only took off in the mornings and evenings of December 20 and 21, 2017. Travel expert and organiser of Akwaaba African Travel Market, Ikechi Uko recently wondered why the problem of harmattan continued to linger and disrupt flights at the end of every year when there is a solution to it. He said flights operate in other parts of the world where there are worse weather conditions. With superior ILS and airfield lighting at the nation’s airport runways, flights can land in the full blossom of harmattan. 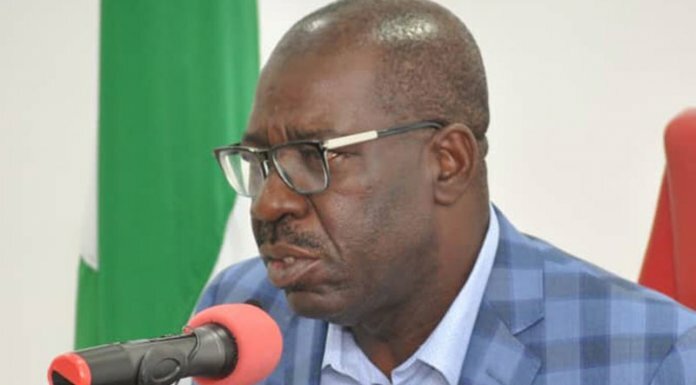 Earlier in the year, the Nigerian Airspace Management Agency (NAMA) had expressed optimism that major airports in the country would be fitted with Category 3 ILS, but THISDAY investigation has confirmed that this was not actualised as planned. Informed source said while the project was approved by the federal government, the money was not made available in time for the project to be completed. However, industry stakeholders decried the fact that it was long overdue for such safety critical equipment to be installed in all the nation’s airports. The Managing Director of NAMA, Captain Fola Akinkuotu, recently told THISDAY that Category 3 ILS would significantly improve visibility and enhance flights to land and take off during harmattan. “It will improve visibility during the harmattan. An ILS approach provides guidance to an airplane in three dimensions, it provides a lateral, which determines whether you are on straight line or not and in the vertical. So if the airplane is coming in on an ILS, it is guided onto the centre of the runway in such a manner that it can land comfortably when the field is in sight, depending on the category of ILS,” he said. As at last week of November, Nigerian airlines had about 18 aircraft that were airworthy and operational. That number was too small for over 180 million people, industry stakeholders posited. The high demand for flights in contrast to fewer aircraft available has given rise to high fares, reduction of flights or cancelation of flights to some destinations and delays at the airports, as aircraft designated according to schedules struggle to meet with the timeline. So many factors have been adduced to this challenge. One is the long time it takes airlines to take their aircraft overseas for checks, two is the inability of the airlines to buy new airplanes that demands less heavy maintenance and the failure of Nigeria to have major aircraft maintenance facility. Ikechi, described the development as protracted, saying it happens during the high seasons, especially during the yuletide. “Having fewer aircraft that cannot meet the demand of travellers is the most important issue right now. Why is the Nigerian passenger not being served well? “What has happened to the capacity of domestic airlines to serve passengers? Why is Christmas every year a nightmare with weather and fuel challenge and this year we have reduced capacity? “Something is amiss and borders on emergency. The demand is obviously far more than the supply now. Nigerians need answers. The delays and increased cost will jeopardise the Christmas holiday if not looked into,” he said. A seasoned pilot and aeronautical engineers who also operates in the aviation industry told THISDAY that the problem of low capacity would continue to be an issue in Nigeria because Nigerian airlines operate aged aircraft which demand heavy maintenance that cost so much money. “Most of the aircraft acquired by Nigerian airlines have about 1000 flight hours left in their engines from 10,000 hours. That is why an aircraft that is sold $75 million when it is new can be given out at about $3 million. So by the time it is due for heavy checks like C and D checks you may have to cough out $10 to 20 million to do it. “So you find out that it would be better for you to leave the airplane and go for another one for $3 to $4 million. With $500,000 you can change the whole interior and make it look new but what matters is the airframe. Is it corroded? That will require so much money to work on,” the source said. “We don’t even have any hope in the national carrier despite the current agitation for it because the way Nigeria is; it cannot run a successful national carrier; even if it is private sector driven. We are not good at doing business that is not our own and nepotism is part of our culture so the little stake government will take to make it a national carrier will eventually be abused. So the clamour for national carrier sounds good but it cannot work in real life in Nigeria,” the source also said. Industry stakeholder and President of Aviation Round Table (ART), Gbenga Olowo, observed recently there has been continuous depletion of the fleet of Nigerian airlines. He recalled that in 2010, Nigerian airlines had 54 commercial operating aircraft but by 2013 the fleet had reduced to 39 and currently about 20, noting that with declining fleet size, route expansion would be limited and robust schedule very difficult and down time for maintenance would impact negatively on schedule. 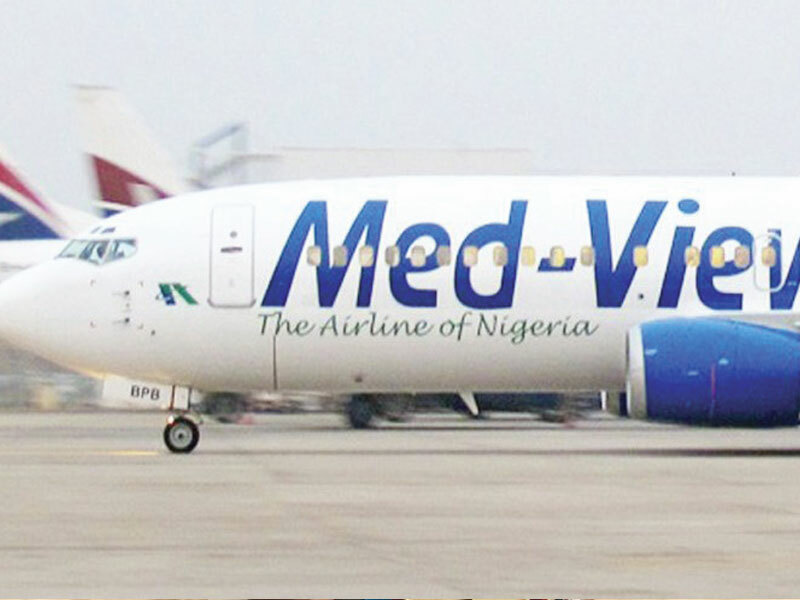 Former Director of Engineering, Medview Airline, Lukeman Animaseun, also said it was high time the Nigerian Civil Aviation Authority (NCAA), stepped in to solve the protracted problem of inadequate aircraft, noting that the airlines would take their aircraft to maintenance facilities overseas but would not have money to bring them back because of the huge maintenance cost. Animaseun, said air travellers would suffer so much during the Christmas holidays because the number of available aircraft cannot meet the demand of travellers. “NCAA needs to do something about this and put a law down that will compel airlines to have more aircraft. I know that airlines like Dana Air, Medview Airline sent out their aircraft for maintenance. Will they be able to return them before the high Christmas season? Many of the airlines do not have enough money to bring these aircraft back. Air Peace has many aircraft; how many of those aircraft are operating. “Many of these airlines will have aircraft in their fleet but once they go on C-check they will be grounded because they will not have the funds to bring them back. So NCAA should make them add more aircraft in their fleet. This year passengers travelling on Christmas holiday will suffer. 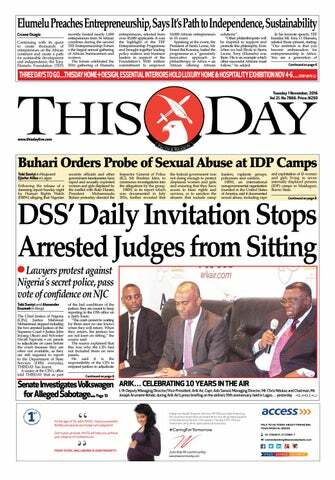 They are going to pay more; so NCAA should call for a meeting,” Anumaseun said. Anumaseun who was an engineer with the former Nigeria Airways Limited (NAL) wondered why Nigerian airlines acquire aircraft with engines that have just limited cycles that can only last about two years. “These aircraft they bring have engines that have only 3000 cycles so you cannot operate them more than three years. 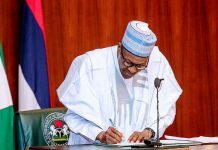 The federal government has removed customs duty and VAT which is highly commendable. I will suggest that stakeholders should hold a meeting on this,” Anumaseun said. However, Air Peace has announced that it would provide enough aircraft to meet the needs of passengers during the yuletide. 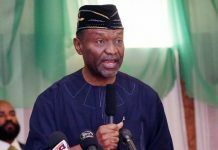 Its spokesman, Chris Iwarah, said the airline would provide additional five aircraft to ensure that travellers are airlifted to their destinations. “In the last few weeks, we have been inundated with demands for flights by members of the flying public who wish to travel but could not secure seats as almost all our flights on major domestic routes are fully booked. “We are genuinely concerned about the plight of the travelling public and sincerely empathise with them. 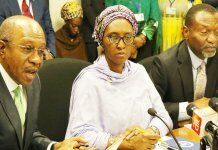 So we will make more aircraft available for Nigerians to travel to their destinations during the holiday,” Iwarah said.